Una Sue Ward, 90, of Ft. White, passed away peacefully Tuesday morning, April 2, 2019 at the Haven-Suwannee Valley Hospice Care Center after an extended illness. She was born in Willoughby, Ohio on July 16, 1928 to the late Murl and Emma Belle Shattford Axford. 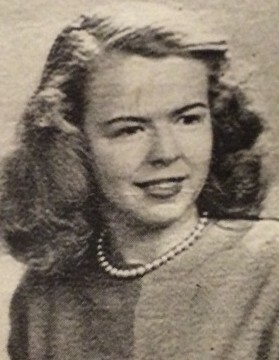 She was a 1947 graduate of Willoughby Union High School, and received her Associates Degree from Fenn College in Cleveland, Ohio. She moved to Bonita Springs in 1960, where she met her husband; there she also was employed with the Lee County Board of Education as a Cafeteria Manager until her retirement in 1993. She and her husband were past Worthy Matron and Patron of the Eastern Star Chapter in the Naples Florida area in 1968; She also served one term in the Florida State Board of Education representing Cafeteria Managers. After retirement she and her husband moved in 1997 to Fort White, and enjoyed traveling the country in their RV and were members of an RV Club. She will be most fondly remembered for her 100’s of baby afghans, slippers and dish towels that she made for all. She was also a member of the Fort White United Methodist Church. She is preceded in death by her siblings, Winton Axford, William Axford, Donald Axford, Wanda Taylor and Patricia Axford. She is survived by her loving husband of 56 years, R.E. Ward; sons, Charles Comiskey (Barbara) and Ronald B. Ward (Rose); daughter, Shay Santos (Michael); grandchildren, Gregory Comiskey, Sarah Collins, Elizabeth Curtis and Casey Santos. Eight great-grandchildren along with nieces and nephew, Jack Leeper, Barbara Leeper, Joanne Townsend, Patricia Leeper and Peggy Leeper also survive. Celebration of life services for Mrs. Ward will be conducted on Sunday, April 14, 2019 at 1:00 P.M. in the Fort White United Methodist Church with Pastor Mike Brecheen officiating. In lieu of flowers, the family asks that donations please be considered in her name to the Fort White United Methodist Church, P.O. Box 71, Fort White, FL, 32038.